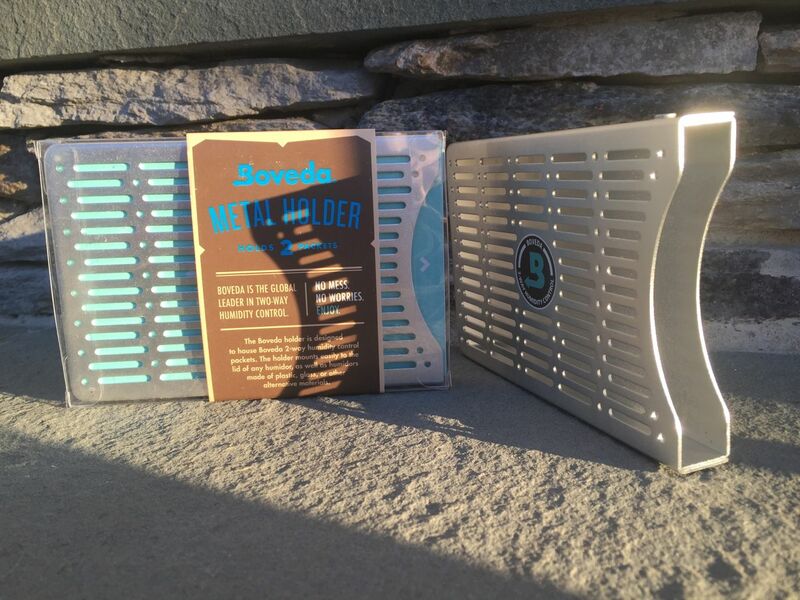 The Boveda metal pack holder comes in durable brushed aluminum with smooth rounded edges and has a slimmer profile than our cedar holder. 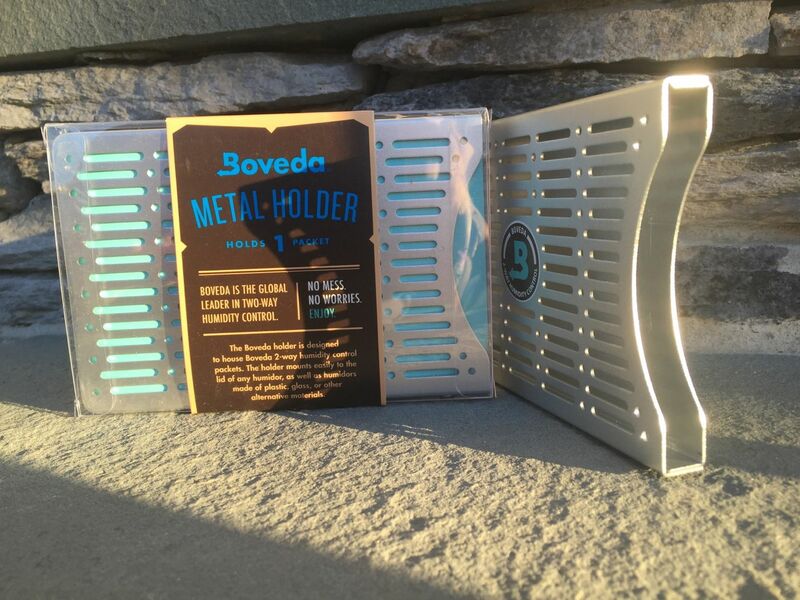 Each metal holder holds one or two large Boveda packs. 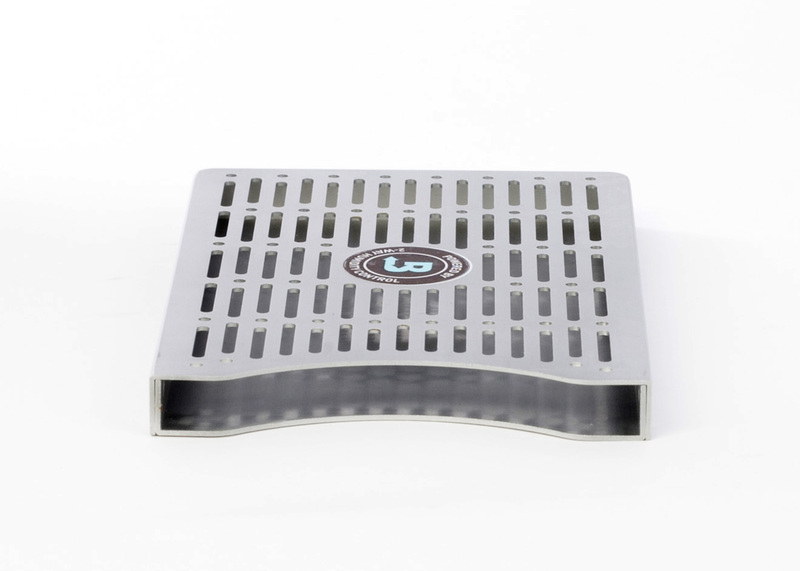 The holder mounts to the lid of the humidor with a magnetic mounting kit or velcro mounting kit (included). 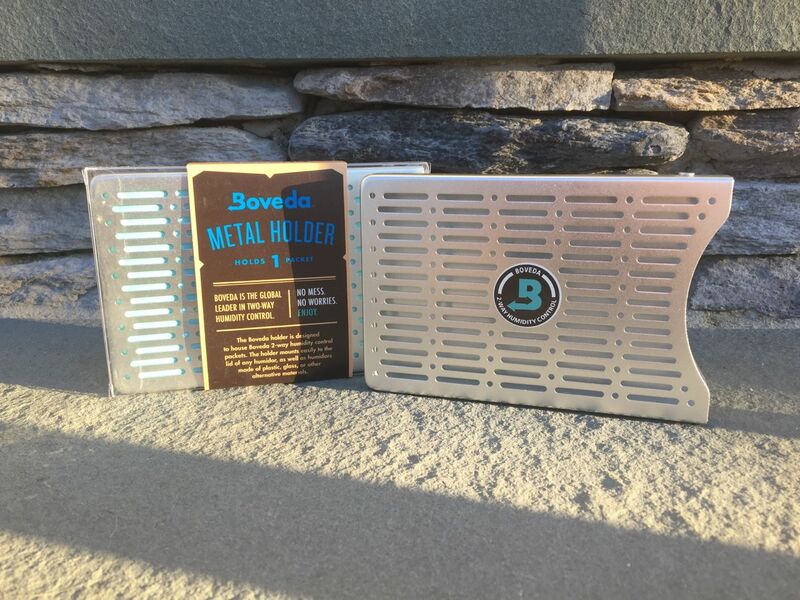 You can also use the magnetic kit to stick several metal holders together if you like the look of the metal but need more Boveda packet-holding capacity. Or, orient the packet holders vertically and do a side-by-side look. 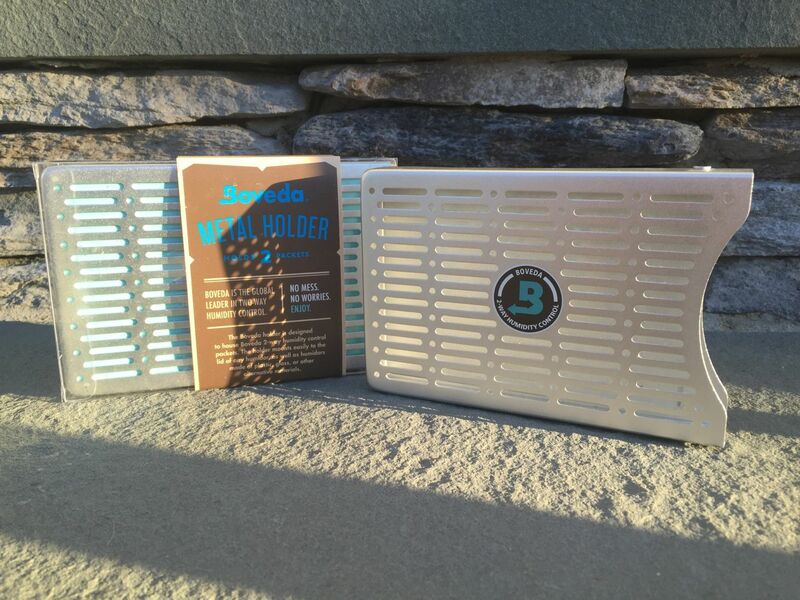 The metal holder is an optional accessory and is not required for using Boveda packets, it just provides an elegant way to keep the packs out of the way. Available in a single (1 pack) or double stack (2 packs) configuration. Dimensions are 5.5″ long x 3.75″ wide x 0.5″ tall or 5.5″ long x 3.75″ wide x 0.75″ tall. Got this to go with my DIY 50 kit. I choose the metal version for it lower profile, and durability aspect. It was a difficult choice between this and the wood version, I wanted both lol.